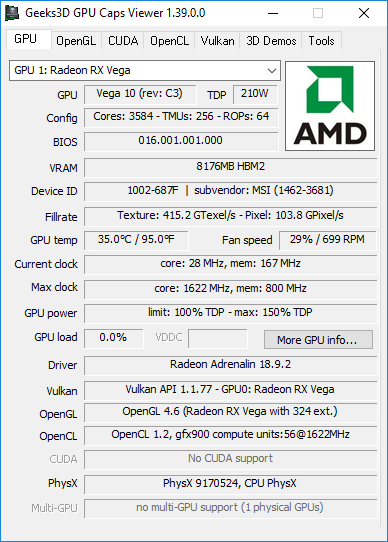 Radeon RX Vega 56 + Win10 64-bit. - OpenGL 4.6.13539 Compatibility Profile/Debug Context 24.20.13017.5001 with 324 OpenGL extensions. 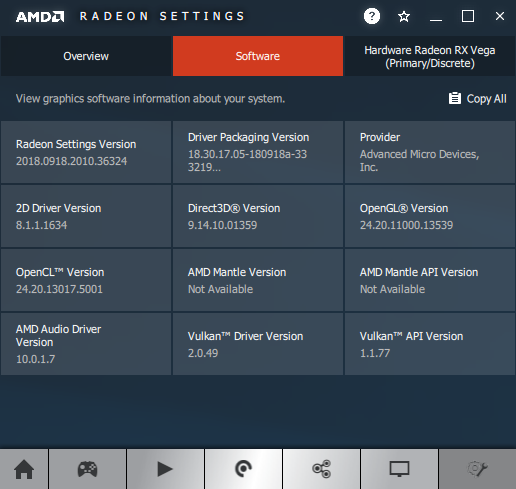 - Vulkan 1.1.77 (60 device extensions).